Wat is dit voor site? Wij zoeken de goedkoopste boeken op internet. Gleaning Ruthvonden we het goedkoopst op Bol.com voor €37.99. We hebben gezocht in nieuwe en tweedehands boeken. Rechtsonderaan de pagina kan je het boek direct bestellen	via Bol	.com. The biblical story of Ruth celebrates the power to begin life anew, to gather what has been scattered, to glean what one needs. 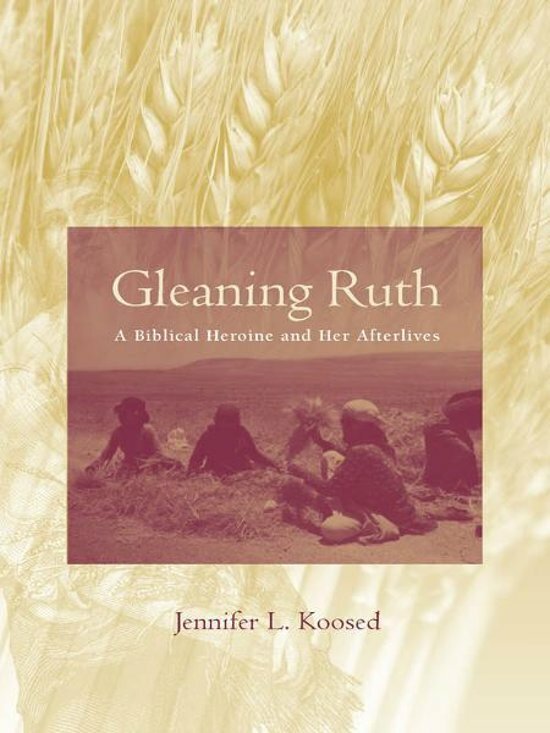 In this original approach to understanding an ancient love story, Jennifer L. Koosed crafts a multifaceted portrait of the Old Testament character of Ruth and of the demanding agricultural world in which her story unfolds. Highlighting the most complex aspects of the book—the relationships Ruth has with her mother-in-law, Naomi; sister-in-law, Orpah; future husband, Boaz; and infant son, Obed—Koosed explores the use of pairings to define Ruth's aspirational fortitude. Koosed also touches on the narrative's questions of sexuality, kinship, and law as well as the metaphoric activities of harvest that serve to advance the plot and illuminate the social and geographic context of Ruth's tale. From the private world of women to the public world of men, Koosed guides readers through the book of Ruth's revealing glimpses into the sociology of the ancient Hebrew world. The study concludes with a discussion of the postbiblical fascination with Ruth and her later representations in a variety of literary and visual media. Koosed's approach is eclectic, employing a host of methodologies from philology and theology to literature, folklore, and feminism. Thoughtful of the interests of both scholarly and lay audiences, Koosed presents inviting and compelling new insights into one of the Old Testament's most enigmatic characters.